Over at the Hushed Casket forums rapture posted a screenshot of the email he received confirming that he was in on the Halo 3 beta. 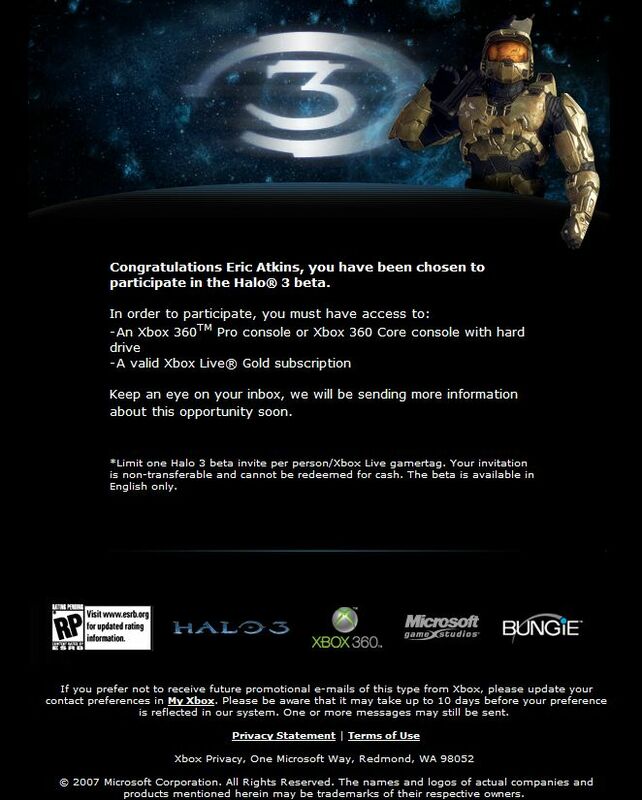 We also got word from Gabe that he too got an invite and was one of those early entrants who slipped past the official launch of Halo3.com. And for everyone who received the mass email from Microsoft telling you to watch your inbox for an invite, don't fret, you aren't a loser just yet. We confirmed with rapture that he too received that mass email, but also received a separate beta invite email. Good luck guys! The floor is now open for braggers who received a beta invite ... brag away.